You just need to keep focused and follow some consistent strategies. Amazon is the biggest online marketplace that can help many retailers sell their products online. However, ranking high on Amazon requires a better understanding of the Amazon product ranking algorithm, A9. To boost your product’s visibility on Amazon here are 11 tactics that can surely raise your conversions and will help to improve your ROI. 1. Make products available for Amazon Prime. Amazon’s revenue from prime members extends well beyond subscription fees. Recently, it was estimated that Amazon brought in about 90 percent of revenue from prime subscriptions. Why select a product that ships at a low speed with an additional cost when you could purchase a product with fast and free shipping? To give a lift-off to your product’s visibility, you need to make it eligible for Amazon Prime. If you are unable to ship from a warehouse, you can make your items fulfilled by Amazon Fulfillment (FBA). This means that you ship your products to Amazon’s warehouses and they will take care of shipping, handling, and returns. But unfortunately, FBA fees are generally not expedient for sellers. You can use their FBA calculator in order to calculate the accurate fees and determine if this process is for you. Use a warehouse (or garage) of your own, as seller fulfilled prime area. This course of action has been introduced by Amazon which allows merchants to ship from their warehouses directly. This saves the fees and cuts the cost to you of FBA fees. You can find out more about the program on Amazon’s YouTube Channel. Brand Name + Series Name + Model Name + Form Factor + Unique Identifier (color, capacity, pack size, etc). An example of good product title optimization. 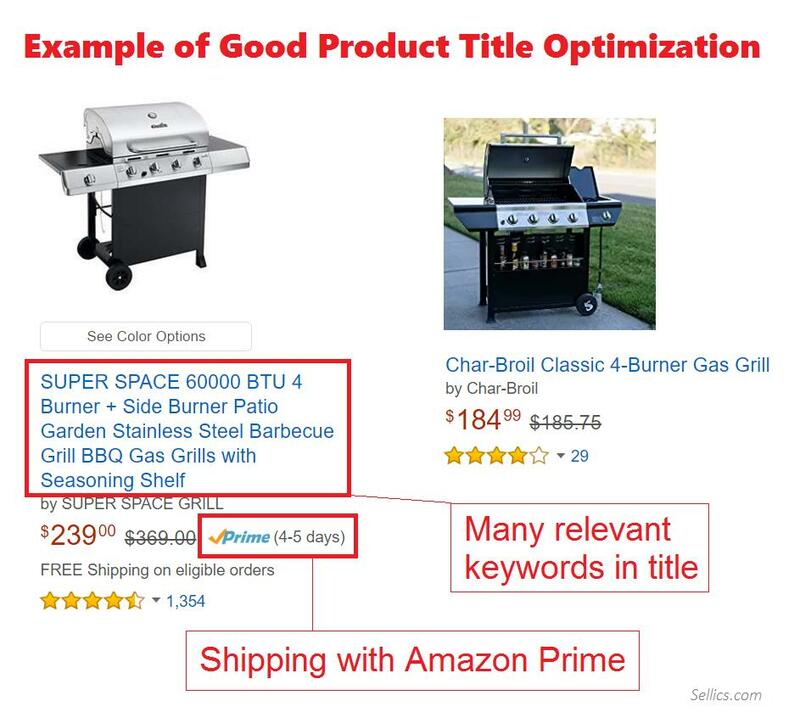 Look below at some of the useful ways to optimize Amazon product titles. Use tools like Keyword Inspector and Helium 10-Magnet to determine the best words by looking at competitor listings. Use special characters like & – etc. to add some style and break up phrases naturally. Make the length around 80 characters of your product title. Product titles should be filled with the product information and its distinguishing features rather than with rebate offers, keywords, claims, sales messaging or anything else. An example of a perfectly executed product title is KIND granola that offers useful information relevantly with proper naming convention. This is an example of a clear and an informative title that is listed favorably by Amazon and clicked-on without hesitation by potential customers. 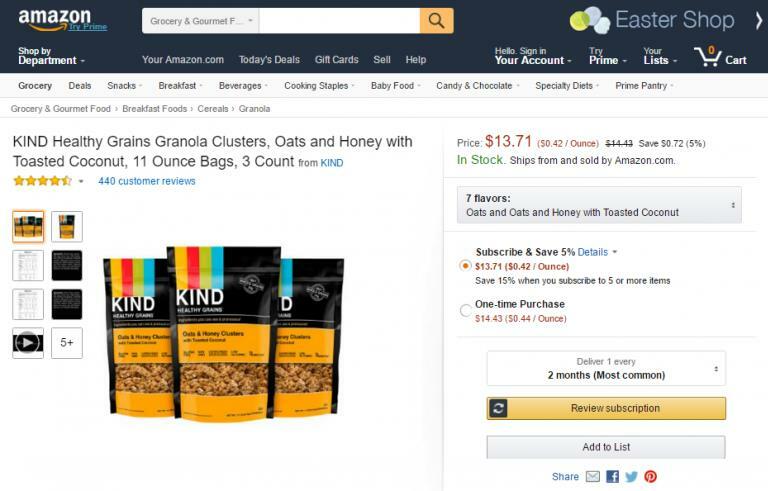 Get HTML text formatting and images into your brand registered products description with Amazon’s enhanced brand content. The advantage of enhanced brand content is that you can spark your listing page with more graphics and visuals. Thus it will become easy for potential customer to read through and it also enables you to break up your product page into logical sections with headers. You should also get some more visuals, photography and infographics prepared for EBC content instead of using same images in the image carousel on your listing because all EBC content is checked by people at Amazon. An example demonstrating how to create your enhanced brand content into your seller central account. Look at some of the below mentioned ways that can help you in optimizing your product description. Use capital letters to spotlight features. Add powerful taglines to split the description to make it easily readable. Explain why consumer is going to love your product by giving your product a narrative. Use explanatory language (e.g. vigorous, effective, strong, beautiful and smooth). 4. Optimize for Amazon SEO. The first step is to understand Amazon’s search algorithm (A9) to rank your product at the top of SERPs. Amazon sorts results by relevance and performance factors. Use Amazon keyword research tool like Sonar to make suggestions according to search queries of Amazon shoppers, research keywords relatively and know the actual search volume of keywords on Amazon. Include relevant keywords and use long tail keywords in your listing text. Create your bullet points between two-three lines each. Use HTML and formatting to make them visually more attractive. Use Sellics keyword ranking tracker to see the daily changes in keyword rankings, adjust the date range to analyze a specific time period and make notes in the keyword tracker. Sellics also optimize your sponsored products ads and increase your organic sales on Amazon advertisement. Use product photos with resolution of at least 1,000 x 1,000 pixels to enable zoom function, ensure the clear visibility of your brand in at least one of your product images and use few photos to demonstrate benefits or uses. 5. Select right category for your product. Your product category need to be correct for your listing to be visible on Amazon. While editing your listing in more details find item type to categorize your product. Shoppers frequently browse by category. The simplest method to determine what category to select is to look at some batch of competitors and categorize accordingly. List your product by considering the following situation. If competitors are all in the same category and have high revenues, use that same category. If competitors are all in the same category and have bad revenues, what will you differently? If competitors are in various categories, examine their monthly revenues to find a connection among category and listing. If category does not affect revenue, select the category that is more relevant for your product. If revenue is affected by category then select the category having high revenue. 6. Make use of PPC keywords. You should run Amazon pay-per-click ads. PPC has a positive approach towards listing optimization. Look at your product ads and figure out your keywords having an ACoS below 25 percent. List them into your product’s description, headline and backend keywords for proper integration. For example: A customer who sold silicone baking mats. After running Amazon PPC the keyword “silicone baking pan” earned $4 for every $1 spent. It wasn’t instinctive as that was a different product than a baking mat, but it turned out that people who were searching for pans bought mats. They took this new keyword and put it into a bullet point. We can often call it reusability of a “silicone baking pan.” They generated some extra revenue. You will get the better listing with running more ads automatically. 7. List an ASIN in your product field. This will surely generate traffic to your page. Just get your product listed on a product page that is ranking. This is a great option for those who can compete for cost with nearly identical product. You can simply search the ASIN in the URL. B011ZLWHOE is the ASIN in the above mentioned URL. Add that ASIN to your product fields, change the brand in your product fields to the brand on the listing. Ensure that you have a lower price as compared to your competitor’s product. Ensure that all your product pages on Amazon must use content that are different from e-commerce website you are using. As they are two different search engines. This is very obvious mistake that businesses make by using the same content. You can make an original content in the following ways. Write new description for your products covering all the important points and ensuring not to use the same sentences. Offer extra important information that has not been covered previously. 9. Use product listing grader. 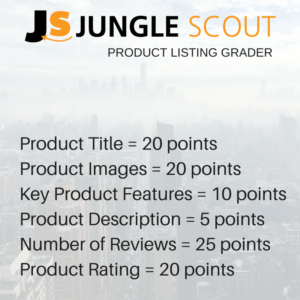 Improve your listing by using a free tool like The Jungle Scout Product Listing Grader. (An example, demonstrating the breakdown of each element giving you a rate of your product performance). You can calculate this by including points to each and every element. (An image to depict where to spend the most time optimizing). The more you work towards increasing the points the better rank you will get on Amazon. The reviews you do get plays an important role because these will stimulate your rating. Your product is doing actually well if you are in the top four-five star realm. But if your product is competing with a lower rating then no need to worry. Fortunately, take the following actions to get rid of struggling with product rating. Search out the reasons in the bad reviews and try to fix the wrong things with the product. Collect feedback from consumers with automated email campaigns to rectify a problem so as to avoid negative review. Gather more reviews and manage your overall rating with good reviews. Ensure to provide a stunning product at a reasonable price and offer a great customer experience. 11. Split testing your way to the top. Split testing is probably the most verifiable correct way to know what works and what doesn’t. This includes changing one element of your listing and serving both this and the original to customers of your product page. Collect significant data by running a split tests in order to get flexible ways so as to improve your listing. Running a split tests on an Amazon product listing will alter your price by increasing or decreasing 10 percent and test your main image. Amazon’s only split testing tool, Splitly helps sellers to know where they can optimize their products by creating various experiments. (An example where sellers get more than double their average daily sales). The above test results clearly describes that the product listing change that was decreased in price of three dollars, has greatly improved conversion rate and average daily sales. Amazon can be a very challenging and tough marketplace. Though Amazon is tough, if you spend some extra effort and time in learning how to optimize your listings then it will be much easier for you to compete. Simply, follow the above mentioned strategies and go get selling by focusing on the things that matters to be ahead of many competitors.